Professor Anthony K. Campbell is Professor in Medical Biochemistry, Cardiff University. He obtained an exhibition at Pembroke College, Cambridge, and then a first class degree in Natural Sciences, and a PhD in Biochemistry at Cambridge University. He moved to Cardiff as lecturer in Medical Biochemistry at the then Welsh National School of Medicine in 1970, and the Professor in Medical Biochemistry, followed by Professor in the School of Pharmacy and Pharmaceutical Sciences at Cardiff University. He has studied intracellular calcium as a cell regulator for over 40 years, pioneering the application of Ca2+-activated photoproteins to measure free Ca2+ in live animal, plant, bacterial and archaeal cells. He is a world authority on bioluminescence, developing the use of genetically engineered bioluminescence to measure chemical processes in live cells. One of his inventions, using chemiluminescence, is now used in several hundred million clinical tests per year worldwide, was awarded the Queen’s Anniversary Prize in 1998, and was selected by the Eureka project of Universities UK in 2006 as one of the top hundred inventions and discoveries from UK Universities in the past fifty years. For the past 15 years his research focus has been lactose and food intolerance, which has led to a new hypothesis on the cause of irritable bowel syndrome, and the mystery illness which afflicted Charles Darwin for 50 years, but was never cured. He is now investigating the relevance of this hypothesis to the current diabetic epidemic, Parkinson’s and Alzheimer’s disease. 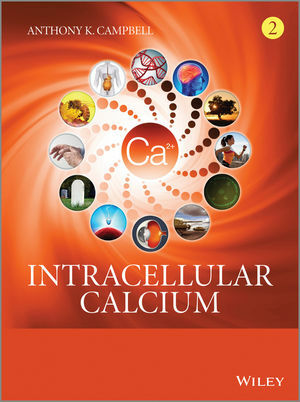 He has published 9 books, and over 250 internationally peer-reviewed papers on intracellular calcium, bioluminescence, lactose and food intolerance. Several of his patents have been exploited throughout the world.